In a non-stick pan over medium high heat, cook the bacon until it is nice and crispy. Once cooked, drain on a paper towel coated plate. Chop the bacon into tiny pieces- almost crumb-like but leaving a couple chunks. In a bowl combine the butter, syrup and bacon bits and fold together using a spatula. On a piece of wax paper, shape the butter into a log. Wrap the butter tightly, tying the ends with kitchen twine. The butter will store in the fridge for several days, and the freezer for a few weeks. Just before using, take it out giving the butter enough time to soften. 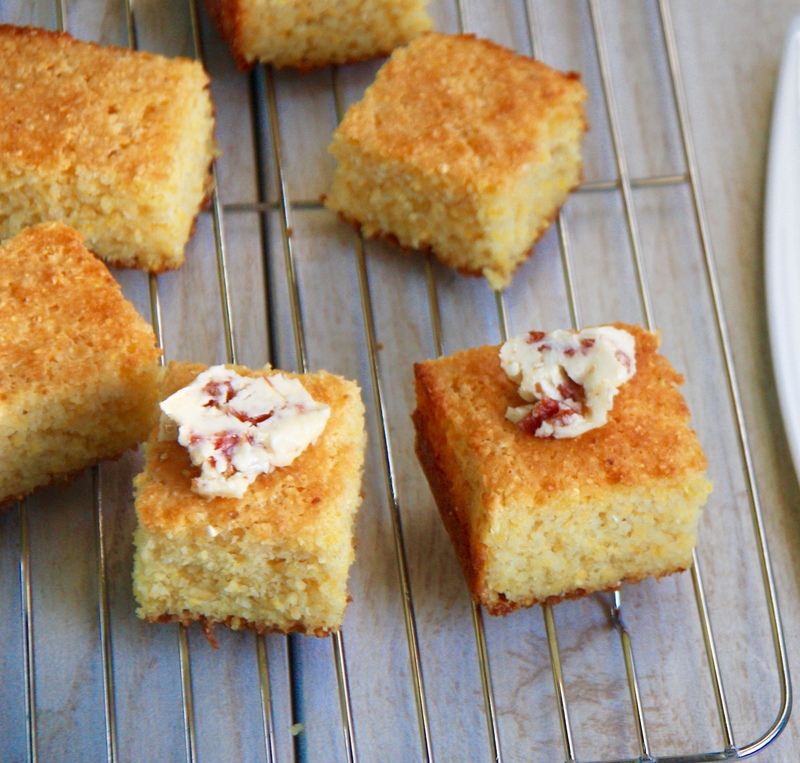 I would serve this butter with cornbread, brunch items, and ANYTHING at your Super Bowl party!